Published: November 11, 2018 15:37 Samar Khouri, Special to tabloid! Everyone’s favourite girl group Twice is back with their sixth EP, Yes or Yes, and they’re not taking no for an answer. 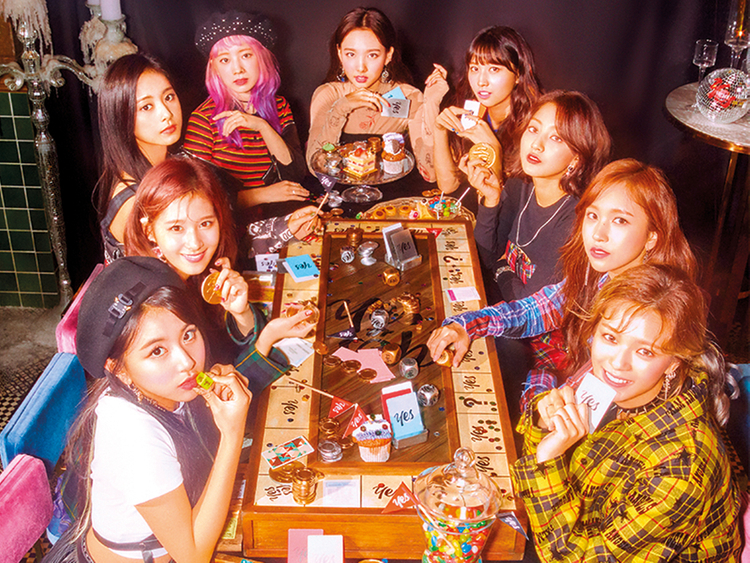 The nine-member group’s EP consists of seven tracks, including the main track, plus three tracks co-written by members Chaeyoung, Jeongyeon and Jihyo, and a Korean version of the song BDZ from their first Japanese studio album. Like most of Twice’s songs, the members showcased their vibrant and girlish image in their synthpop title song, Yes or Yes, in which they demand a love interest to choose between ‘yes or yes’. From their debut single Like Ooh-Ahh to latest success Dance The Night Away, Twice consistently ranks high on the Korean music charts. The group achieved a certified all-kill, meaning it ranked high on seven of their homeland’s real-time charts and daily charts with the EP’s lead track. Not only did it chart high on the iTunes albums chart in 17 countries but Twice’s new music has also received love from listeners in the UAE — it debuted at No 4 on the Top Albums chart. Additionally, Twice broke a YouTube record by being the fastest K-Pop girl group to hit 20 million views in just 10 hours and 27 minutes with their Yes or Yes music video, beating BlackPink’s record with DDU-DU DDU-DU in under 14 hours. It is also the seventh most-watched music video in a 24-hour period. The group is made up of Chaeyoung. Sana, Tzuyu, Dahyun, Nayeon, Momo, Jihyo, Mina and Jeongyeon, all hailing from Taiwan, Korea and Japan. The group has been making waves for their catchy music, singing abilities and signature choreography, turning them into one of the most popular K-Pop girl groups in Asia. Their new EP is their first since they celebrated their third anniversary in October.